Attempts to take this massive creature down were futile, to say the least. When players step out into Appalacia in Fallout 76 later this month, there will be many hostile creatures looking to take them out. Occasionally, there will be some incredibly high-level and dangerous creatures capable of decimating you and your entire four-man squad and I had the pleasure of running into one during my hands-on time. Watch below as myself and three others fruitlessly attempt to fight off the attack of a Scorchbeast and take notes for your own journey into post-apocalyptic West Virginia. 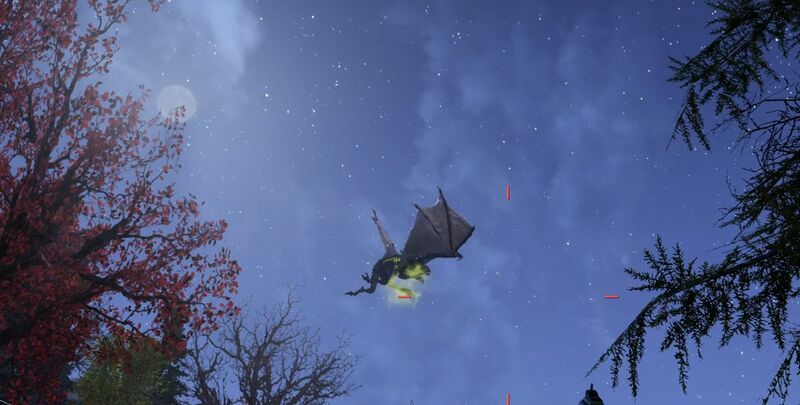 The Fallout 76 B.E.T.A. goes live October 23 for Xbox One players and October 30 for PS4 and PC players. After reading the the full hands-on impressions for Fallout 76, head over to the Shacknews and GamerhubTV YouTube channels for exclusive interviews, walkthroughs, gameplay, and more. Hahahah. Console controller aim. So bad. Also that game looks like dogshit. Oof.